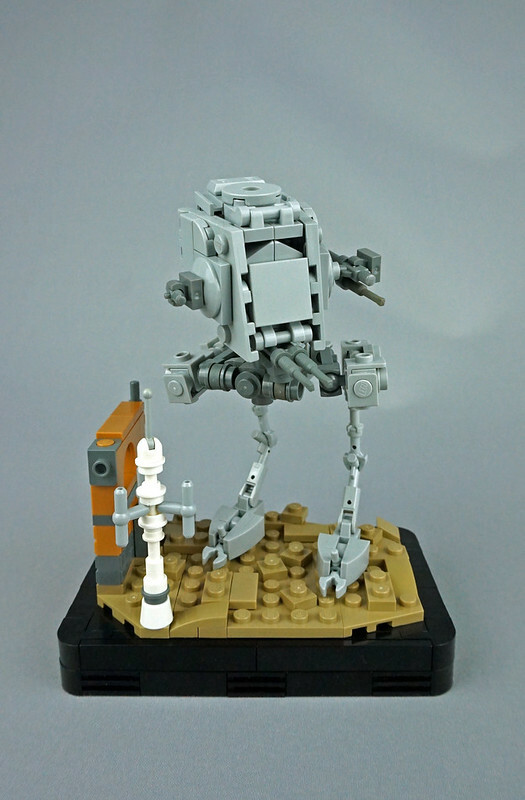 The Imperial All-Terrain Scount Transport, aka AT-ST, aka Chicken Walker, has some seriously scrawny legs, which is precisely why it has such an unfortunate nickname. But it also gives it a distinct look, and that look is hard to capture in LEGO, at least with dependable standing AND pose ability (you can pick one). This version by Rogue Bantha is in midi scale, and captures the scrawniness in perfect form.